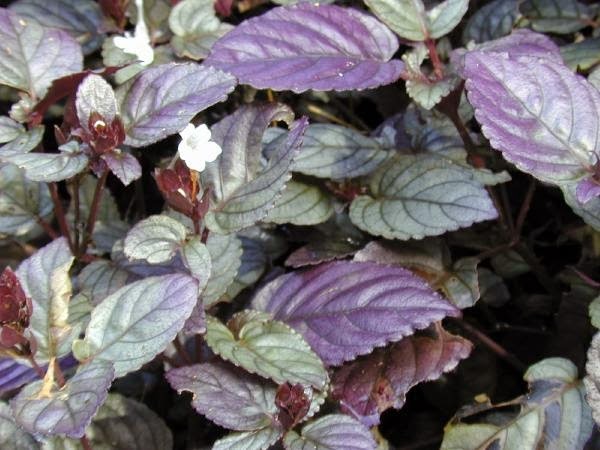 This popular plants in indonesia to heal hemorrhoids for a long time but not only to heal hemorrhoids this plant also has so many benefits in indonesian herbal history, we call it keci beling or in Latin Name: Strobilanthes crispus. Habitat: It grows wild in the fields in the shaded area at an altitude of 1-750 m above sea level. Description of the plant: Plant shrubs, 1-2 feet high. Segmented rod, bull, shaggy, monopodial branching, green color. Single leaf, opposite, oblong or oval shape, rough edge , tapered tip and base, [arbor 9-18 cm long, 3-8 cm wide, short-stemmed, pinnate bones, green color. Compound interest, the form of grain, crown funnel, hairy, purple color. Fruit round, brown color. Part of plant used: Leaf. Chemical Ingredients: Salt alkali; Silicic acid; carbonate; Triterpena. Keci beling 1 gram; tempuyung leaves ( Sonchus Arvensis )10 grams; Water 100 ml, Made infusion; brewed; crushed, Drink 1 a day 100 ml; When crushed drink 1 a day 1/4 cup. More deseases that can be cured and how to use them. PEE LESS CURRENT: 25 grams of fresh leaves are washed and boiled with 2 cups water for 15 minutes. After chilling filtered and drink as well. Do it in the morning or afternoon. Bladder stone: A handful of keci beling leaves and 1 corn cob washed, then boiled with 2 liters of water until the remaining 1 liter. After chilling filtered and drunk. Do it in the morning and evening, each I / 2 cup. Gallbladder stones: Fresh leaves 5 pieces, 7 pieces of fresh ungu leaves ( Graptophyllum pictum ), washed and boiled in 3 cups water until the remaining 2 cups Drink as tea. Diabetes: Fresh keci beling leaves 20-50 grams, boiled in 6 cups water until the remaining 3 cups, cooled, filtered. Drink 1 cup 3 times per day. Kidney stones: Leaves of keci Beling 50 grams, fresh meniran ( Phyllanthus urinaria )7 stems, ungu leaves (Graptophyllum pictum) 7 pieces. Washed with 4 cups boiling water 2 cups to be cooled, strain, drink 3 times 2/3 cups per day. OR keci beling leaves 5 pieces, 5 pieces of fresh tempuyung leaves ( Sonchus Arvensis ), corn cobs 6 pieces, washed and boiled with 5 cups water until the remaining 2 ¼ cups. After chilling filtered, divided to 3 times the drink, gone in a day. Do it every day until the pain disappears. Constipation: Take 1/2 handful of keci beling leaves of fresh, washed and then boiled with 2 cups of water until remaining 1 glass. After chilling filtered and drunk. Hemorrhoids: Fresh leaves 20-50 grams, boiled in 6 cups water until the remaining 3 cups, cool, strain. Drink 1 cup 3 times per day.